The following hors d’oeuvres are available to be added to any menu at the listed price per person. 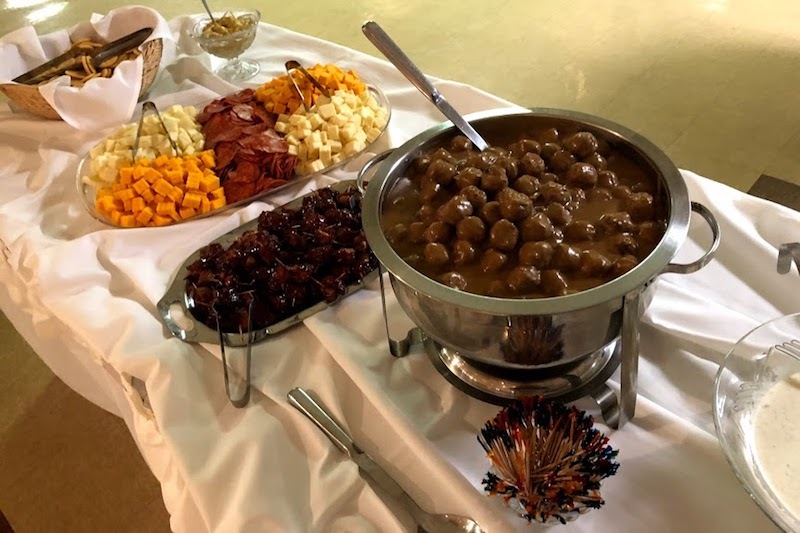 Small milk chocolate fountain includes choice of 2 fruits, 2 salty selections, and 1 sweet selection from: potato chips, pretzels, strawberries, pineapple, bananas, pound cake, and marshmallows. 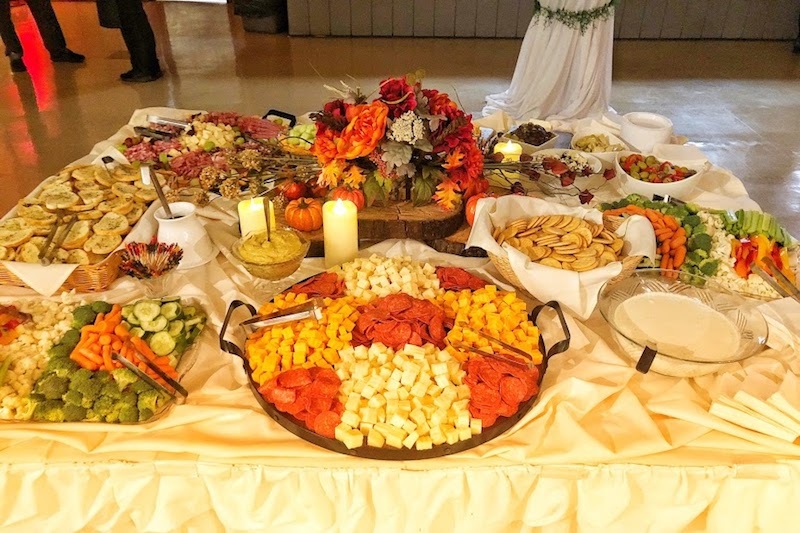 Carrot sticks, celery sticks, broccoli and cauliflower florets, Julienne bell peppers, cucumber slices, sliced Italian pepperoni, Provolone Cheese, Colby Cheese, Swiss Cheese served with crackers, mustard, and Ranch Dressing. 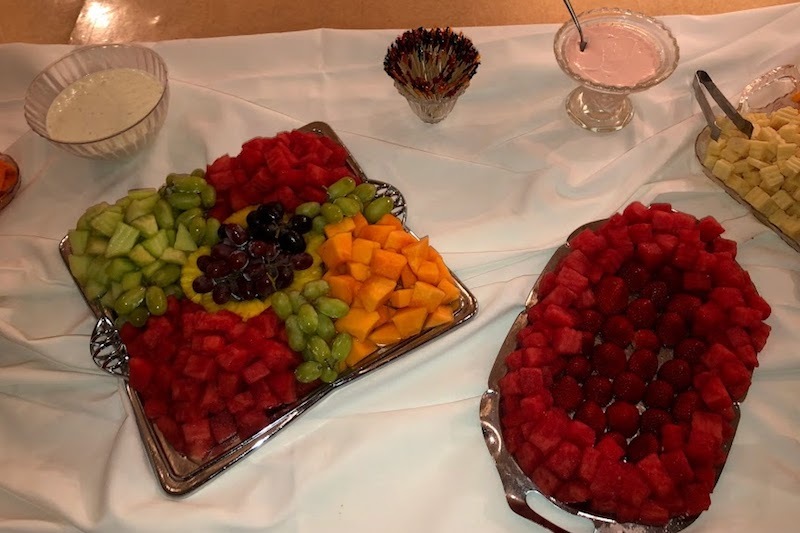 Fresh Honeydew Melon, Watermelon, Cantaloupe, Grapes, Pineapple, and Strawberries served with chilled dips. Fresh Chilled Gulf Shrimp Cocktail served over ice and garnished with Lemon. Scallops Wrapped with Bacon and Glazed with BBQ Sauce. Mushroom Caps Stuffed with Crabmeat. Mushroom Caps Stuffed with Vegetables and Boursin Cheese. Assorted Sliced Italian Meats served with Crustini Bread, Pate, and Dipping Oil. Breaded and Fried Chicken Tenderloins with Dipping Sauces. Fried Chicken Wings Tossed in Sauce. Hot or Mild Banana Peppers Stuffed with Sausage and Cheese. Water Chestnuts or Pineapple Wrapped in Bacon and Glazed with BBQ Sauce. Baked Spinach and Filo Pastry Dough. 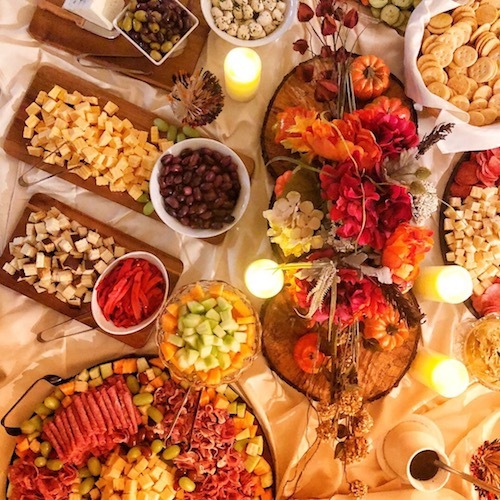 Choosing a combination of hors d’oeuvres is the perfect way to take care of your guests while they await your arrival and introduction. We offer a wide change of options that start with simple items and range all the way up to elaborate displays. We can also add, change, or customize just about anything on the menu to fit your dietary preferences.